Traditional paintings in oil or acrylic on canvas and paper as well as drawings on paper. Some mixed water media on paper and collage. 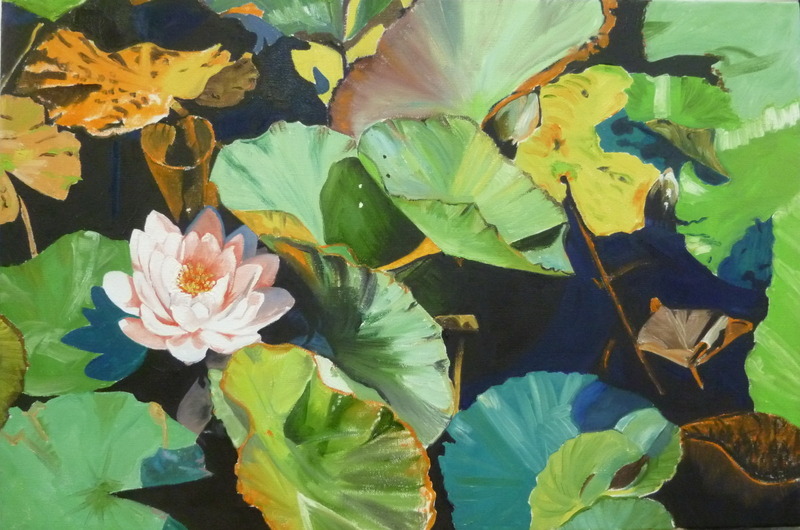 Water Lilies, oil on canvas, realistic and abstract reflection of nature.